How do you come back from the point of no return? Seth McCoy was the last person to see his best friend Isaac alive, and the first to find him dead. It was just another night, just another party, just another time where Isaac drank too much and passed out on the lawn. Only this time, Isaac didn’t wake up. Convinced that his own actions led to his friend’s death, Seth is torn between turning his life around . . . or losing himself completely. Then he meets Rosetta: so beautiful and so different from everything and everyone he's ever known. But Rosetta has secrets of her own, and Seth will soon realize he isn’t the only one who needs saving . . . This book sounds so amazing and I want to read it so much. I love the cover. It is so pretty. I find this trailer to be cute and sweet. I really want to read this book. The other one is from Doctor Who. OMG, it looks amazing. I need it now. Amy is a recovering from an abusive relationship. She moves in with her Aunt Mae. Now she is near the Cascade Mountains, where she can escape from her past in Seattle. There is a strange clearing in the back of her aunt's property. It is covered with thick mist and it seems that the clearing doesn't want anyone entering it. She understands when she makes an amazing discovery. Henry is a boy from 1944 and he is trapped in an endless summer. Amy finds a refuge with Henry and his world and she begins to learn that some moments are worth savoring. But when the past and present come crashing together, both of them must find the courage to face what is meant to be, even if it means losing each other forever. I enjoyed this book so much. Davis wrote The Clearing as a book that switched point of views. Amy was an amazing character. She had a hard past with an abusive boyfriend that was a total jerk and at her old school has horrible friends that ended up to be untrustworthy. Then she meets Henry, who is a complete sweetheart. Their relationship seemed to be realistic. I loved how they started out as friends and became something more and it seemed so honest and true. The plot was basically Amy and Henry's life, even though that may seem boring. It was actually was really interesting and fun. I found the loves from other decades idea to be fun and really original. Davis is an amazing writer that created a great book that I loved. I highly recommend this book, it was so fun to read and easy to connect with. 2097 is unlike the world that we know. Thirty years earlier, a mysterious plague wiped out 97% of the male population in days. The whole world was full of unimaginable grief. Women slowly take over the world. Poverty, Crime, warfare, and hunger were all gone over night. The price to pay with this new "utopia" is familiar to fourteen-year-old Kellen. He is a minority in the world, because of his gender, he is only allowed certain career choices and relationship options. The plague also seems to randomly pop up. Also, he over hears something that he shouldn't and he must decide if he will take action against it or just let the world stand as it is. I enjoyed this book. Kellan was an entertaining narrator. He had humor in even the most dire of situations and also that he was very curious about what was happening. I also love Tia and Sunday. They both complimented each other and were well rounded characters of their own. The plot grips you fairly quickly as you are thrown into this world, but their were a few slow spots. Also, it takes place in Washington State, which makes it more familiar with me. The book is a dystopian novel in which a virus infects the world and the survivors are left to deal with the aftermath. It did have some originality. Patneaude is a good writer, that created an interesting story to read. I would recommend this to people that enjoy dystopian novels. I found the first book to be really cute. So I am excited to read this. This book looks really good. I still need to read the first book. This is my second copy. OMG, I was so excited to get this book. I can't wait to read it. This book looks amazing and I have heard great things about it. Really excited to get this book, too. Holly is so nice and I have heard amazing things about it. The cover is so cute and it sounds like a fun read. Sarah has always had a crush on Ryan. He is easy to talk to, super smart, and he totally gets her. Recently, it seems like he is paying more attention to her. Everything would be perfect, if Ryan wasn't Brianna's boyfriend and Brianna is Sarah's best friend. She tries to avoid Ryan and tries to not to like him. She feels so guilty for wanting him and she would never want to hurt her best friend. One night, when she is thrown together with Ryan one and something happens. It feels wonderful, but awful at the same time. Sarah is torn apart by guilt for betraying her best friend and the fact that she wants more from Ryan. 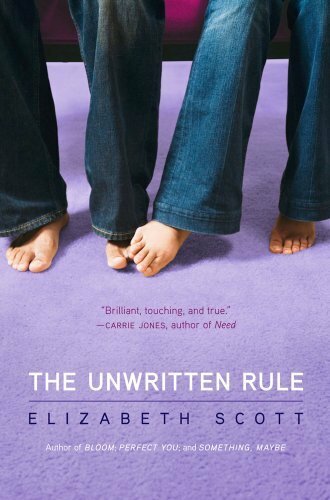 Elizabeth Scott writes amazing books that both teens and adults can relate to, and The Unwritten Rule is no different. Sarah was an amazing character. She was so selfless with her best friend that she lost experiences and even the boy that she really liked. She was also treated like wasn't good enough by Brianna, which made me sad. It wasn't a healthy friendship and I could really relate to that, because I have had horrible friends and I am very passive like Sarah was. Sarah's nickname was Sarahbear, which made me laugh, because I could already relate to this character so much. Brianna was so manipulative and mean at times. I want to punch her in the face at times. I understand that she had a hard family life, but she didn't need to take it out on someone else. She used Sarah to make herself feel better, which is just so wrong. I found Ryan to be cute and funny at times. The plot unravels in a predictable matter. 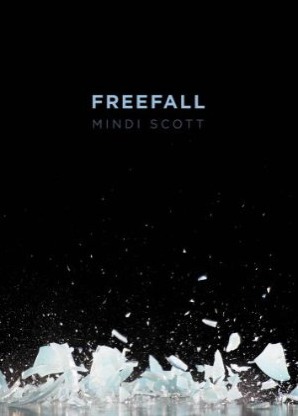 Scott makes sure that you know how the characters feel, while they deal with misunderstandings that they had about what happened. The plot also moves really quickly and brings an amazing and fantastic read. I found it to be original in the way that Sarah and Brianna's friendship dynamic was portrayed and also how Sarah felt guilty about she did. Scott is an amazing writer that create a world full of depth and realism. Her writing is easy to get into and wonderfully written. I would recommend The Unwritten Rule to fans of Sarah Dessan and Susane Colasanti. 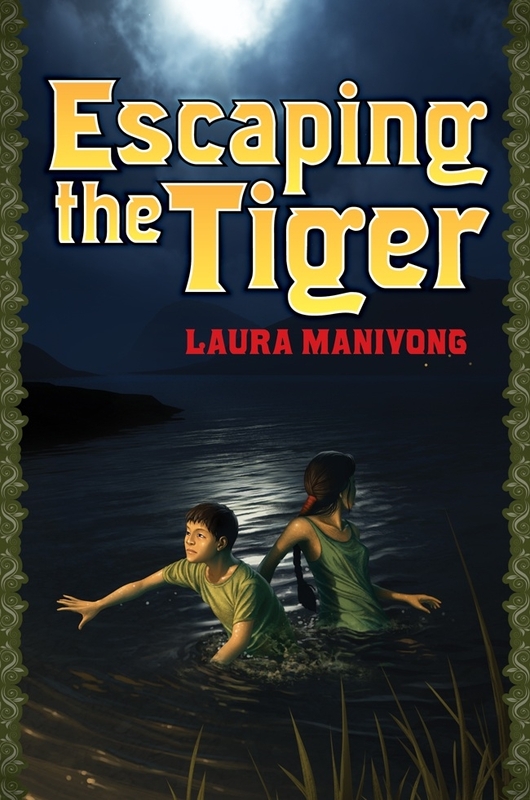 Twelve-year-old Vonlai lives in the oppressive Communist Laos. He knows that soldiers who guard the Mekong River shoot at anything that moves. Nothing is left for his family here, but the hope that their will be something better on the other side of the river in Thailand, even if that means a refuge camp. Even in the camp, their struggles are far from over. Na Pho is a forgotten place, with poorly made huts, stifling heat, and rationed food. Still, Vonlai tries to carry on as if everything is normal. He pays attention in school, a dusty barrack overcrowded with kids too hungry to learn. And, to forget his empty stomach, he plays soccer in a field full of rocks. But when someone inside the camp threatens his family, Vonlai calls on a forbidden skill to protect their future, if only they can make it out of Na Pho alive. Volai is a strong character. I loved that he had such a positive outlook on life, even in his situation. I also love Dalah. She was such a positive girl and so spirited at the darkest times. His mother and father were great parents and wanted the best for them. Colonel was also a fun character, and he had such a strong and distinctive personality. The plot is similar to other books in some ways. The characters are in a refuge camp and are hoping for a better life. I loved how they tried to be optimistic about all of the horrible things that were happening in there world. I also liked that Manivong based this on her husband's experience in a refuge camp, it made it more truthful and personal. Manivong is a brilliant writer that weaves real life into such a unexplainable situation. This book made me feel so thankful for where I live and what I have. I feel that this book will make you appreciate all the little thing. I recommend this book, to anyone that like books that are so full of true emotions. The Winner of the Courage in Patience Contest is Alannah Javier. Congrats on the win! Good luck to everyone else on future contest. Georgia knows all about secrets. Her friendship with her best friend Riley is bulit on secrets. She knows that with secrets, some things are meant to ignored and unsaid. Georgia and Riley travel with nine other suburban Pennsylvania kids to Anapra, a squatters' village in the heat-flattened border city of Juarez, Mexico. Secrets seem to acluminate and threaten both a friendship and a life. Certainties unravel. Reality changes. Georgia is left to figure out who she is outside the world she's always known. Georgia was an interesting girl. She wanted to help others, which I really admired. She also really wanted to be perfect, and got so sick from that anxiety. I have had panic attacks before and know how hard it is to get over it. Riley was also interesting. I loved that she had more depth then most best friends of the main character. Drake was the love interest in this book. He seemed to be very interesting. The plot was fairly interesting. I always wanted to go on a trip like Georgia did. The trip was very eye opening and made you feel thankful for the little thing. While not the most interesting book, Kephart is a stunning writing. She makes something so little seem sort of magical. This book reminded me a lot of Red Glass by Laura Resau, which I loved. I highly recommend this book and hope you will check it out. Kephart creates another captivating books with beautiful writing. 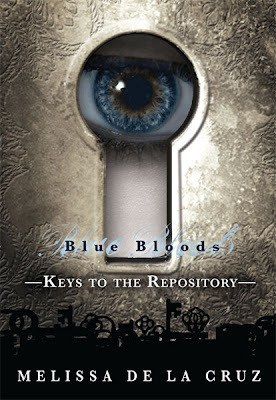 In a series of short stories, journal entries, and never-before-seen letters, de la Cruz gives her hungry fans the keys to the Repository and an even more in-depth look into the secret world of the Blue Bloods. This sounds like a really rad book. I am also in love with the cover. Carrie explained where her inspiration for her books came. But her fiance slowly had her watch them. then she did Q&A about her books. I also got to meet Mindi Scott, while waiting in line. and I can't wait for her book to come out in October. who has a cute half-vampire series that is getting reprinted. I also saw Barbara Ferrer again. Here is Carrie and I.
and I can't wait to read her book. On Saturday, I went to Kimberly Derting's signing. and Kimberly is such a sweetie. So, I was really excited for the event. Kimberly had this awesome gift basket that was in a raffle. It included a blue ipod shuffle that was engraved with The Body Finder. Here is Kimberly signing a few books before the signing. Her family and friends had The Body Finder t-shirts made. Some of them had characters on the back. which made me laugh every time I saw it. Sorry for the blurry picture, but here were all of her family and friends. and thanked so many people. She then did the Q&A. Most people wanted to know when the sequel was coming out. and also if there was going to be a movie. Here is Kimberly and I.
Mandy Hubbard also came up and talked to me. I didn't get a picture with her though. but I didn't get to meet them then. Overall, it was an amazing signing. I heard that Kimberly was signing for over an hour. Congrats to Kimberly on her release. The Winner will get a signed copy of The Body Finder, a signed poster, an asortment of stickers, a paper flower, and bookmarks. I might throw in random swag with it. The Vlog has all the prizes. Also instead of telling you about it, I will say that both of my parents devoured The Body Finder and it is in my top ten favorite books of all time. So enter now! *Update* I am adding Choice of double copy book that I own(There will be a list sent to the winner to choose from. ), another poster, some stickers, and other swag! This is due to the fact that there are more twenty entries already. Contest Ends on April 15 at noon. It is International. Fill out the form below. If you linked it more after filling out the form, just put them in the comments. Good Luck to everyone! Thanks to Kimberly Derting for donating all the swag in the contest and being awesome! I now have 450 followers, which is amazing. Also I have been writing 1k a day for a week, which is wow. I am in love with my Work in Progress. I also get to go to two signings today. The Amazing Kimberly Derting and Carrie Ryan! Ekk, that is almost awesome overload. So, How was your week? What are you looking forward to? Emails have been sent. Good luck next time! There are many authors that I have a love for and appreciate all of the amazing things that they do and there are so many authors to thank. I want to thank Heidi for making such a wonderful week possible. I also want to thank her for being my TV and twitter buddy. She is such an amazing author, whose book Sea, I finished less then a day ago and I am still thinking about it. Heidi is a fantastic author that has reached out into the community and made it better. Also all to the YA Rebels that haven't been in other post: Courtney Allison Moulton, Jen Hayley, Gretchen McNeil, Leah Clifford, and Scott Tracey. Their vlogs are so inspiring, because these are people that are doing what I want to do post high school and beyond. They are also really funny. So thank you for what you do and taking time to do that. Lastly to the authors of the books that I grew up on and fell in love with their writing. Thanks to Judy Blume, JK Rowling, and Lemony Snicket for your books. Also to any author that has taken time to send me a book, answer an interview, talked to me on twitter, encouraged me to write, taken time from their normal life to go on tour, or anything else. Writers are amazing people and I appreciate them with each turn of a page. There are many authors that I have a love for and appreciate all of the amazing things that they do. One of these authors is Kody Keplinger. Kody is probably one of the most awesome authors that you will meet. She is so sweet. She also gives great writing advice. She always has great stories and is so much fun to talk to. She can also make you laugh all the time. She is going to Ithica, which is one of the colleges that I want to go to. Her book, The DUFF sounds amazing and I can't wait to read it. There are many authors that I have a love for and appreciate all of the amazing things that they do. One of these authors are Kami Garcia and Margaret Stohl. Kami and Margie are such amazing authors. Beautiful Creatures is a one of a kind book that is amazing. They are both so funny that make me laugh all of the time. Also, they are also great twitter buddies. They also have great taste in book. Honestly, they are just amazing people that are living their dreams. There are many authors that I have a love for and appreciate all of the amazing things that they do. Some of these authors are Readergirlz divas, Liz Gallagher, Holly Cupala, Melissa Walker, Dia Calhoun, Lorie Ann Grover, Justina Chen Headley, and Mitali Perkins. I have to honestly say that I would not be a YA blogger without Readergirlz. It is where I first talked to people that loved reading as much as I do. It was the first time that I talked to authors and found out how authors are not some sort of robots. I have met Liz at a few author events. She always ask how I am and we also talk about what we are writing and reading. She is so awesome. Her book The Opposite of Invisible is set in the Seattle area. I could relate to all of the landmarks and places in the book. If you don't know who Melissa Walker is... Then let me start with an energetic, outgoing, and caring person. I have devoured every book of hers and can't wait for more to come out. She also runs I Heart Daily, which I love. I can't wait to meet her. The first time that I met Dia and Lorie Ann, was when I was doing an interview for Readergirlz for a local news station. Dia is really awesome and her books are amazing to get lost into. Lorie Ann is a fantastic person. She is so caring and awesome. I love how Lorie Ann can make such beautiful verse. Justina's books deal with what teens need the most. Self confidence and understanding from other's and them self. She weaves together such different stories that you can't help, but love. They just embody being a teen so well. Mitali is an awesome person. It was so fun to meet her. Her book, Secret Keeper displayed sisters and secrets and how they can effect people. I found it amazing, how she was so true to sisters and their relationship. Anyways, Thank you, Readergirlz for everything that you have done and continue to do. There are many authors that I have a love for and appreciate all of the amazing things that they do. One of these authors is Sarah Ockler. We are name twins, which instantly makes it so we have to like each other or a pack of werewolves will come and kill all the Sarahs in the world. Liking Sarah is not hard. She is probably one of the nicest people. At first, we talked to each on twitter and at Chelsea's (The Page Flipper)book clubs. She was always there and totally awesome. I also started talking to her on Twitter and then I got a copy of Twenty Boy Summer. I fell in love with her writing style and how a beach read could make you cry. I can't wait for her next book, Fixing Delilah Hannaford. It sounds amazing. There are many authors that I have a love for and appreciate all of the amazing things that they do. One of these authors is Kimbely Derting. Her book, The Body Finder comes out today. I LOVE HER BOOK, seriously read it. My dad read it and loved it. I have met her a few times and she is incredibly sweet and awesome. She is also from the Pacific Northwest, which is win. Her launch signing is on Saturday, which I get to go to. There are many authors that I have a love for and appreciate all of the amazing things that they do. One of these authors is Steph Bowe. Steph Bowe is a fellow blogger and has amazing interviews that I love. She is so original. I can't wait for her book to come from Egmont next summer. She is also so supportive when it comes to writing and is always commenting when I post my word count on twitter. Plus she is aussie, which makes her awesome. There are many authors that I have a love for and appreciate all of the amazing things that they do. One of these authors is Victoria Schwab. Victoria Schwab is the author of The Near Witch, which comes out from Hyperion in Summer of 2011. I haven't read it, but I am sure that it will be posistively amazing. Victoria bakes when she is stressed, like I do. She also majorly loves chocolate and has a drawer full of it. She is also part of the YA Rebels, which is an amazing vlog on YouTube. Anyways, she is an amazingly inspiring person and I can't wait for her book. Also, she is in the secret and exclusive font world, which is awesome. There are many authors that I have a love for and appreciate all of the amazing things that they do. One of these authors is Courtney Summers. Courtney Summers is a YA Canadian Author. Her books are Cracked Up to Be and Some Girls Are, which are some of my favorite books EVER. She also has an amazing blog that I love reading. And is constantly cracking me up on twitter. Her hatred of Werewolves is legendary as is her love for Jeff Prosbt and Lady Gaga. She also invited me to her Zombie Apocalypse Surviving Posse which means I shall be safe in the event of the ultimate doom. Someday I hope to meet her. A Contest for Courage in Patience! Nine-year-old Ashley Asher was pleased when her mother started a relationship with Charlie Baker. Charlie, Ashley thought, would be the father she never had. She was 9 then; now 15, she recounts the story of how her dream life soon turned to nightmare, commencing with the first time Charlie touched her inappropriately. For years she tolerated it—not only the sexual abuse but also the emotional manipulation her stepfather inflicted on her—until one day she confronted both Charlie and her mother. To Ashley’s horror, her mother sided with Charlie, leaving the teenager to find her own way, prompting her to reestablish a connection with her biological father. Though the subject matter is undeniably dark, Fehlbaum manages to keep the tone surprisingly light and hopeful. This hard-hitting but readable story about an infinitely troubling subject will resonate with all readers but especially with other survivors of abuse or with those who work with those survivors. I have yet to read it, but it looks amazing. To enter fill out the form below. The contest is for US only and ends on March 22nd. When you think of Unicorns, you think of fluffy creatures with a wondrous horn and full of sparkles. Real unicorns are venomous, man-eating monsters with huge fangs and razor-sharp horns. Luckily, they have been extinct for a hundred and fifty years. Astrid has always scoffed at her eccentric mother's stories about killer unicorns. But when one of the monsters attacks her boyfriend—thereby ruining any chance of him taking her to the prom—Astrid finds herself headed to Rome to train as a unicorn hunter at the ancient cloisters the hunters have used for centuries. However, at the cloisters all is not what it seems. Outside, the unicorns wait to attack. And within, Astrid faces other, unexpected threats: from the crumbling, bone-covered walls that vibrate with a terrible power to the hidden agendas of her fellow hunters to—perhaps most dangerously of all—her growing attraction to a handsome art student . . . an attraction that could jeopardize everything. I loved Astrid. She didn't want to become a unicorn hunter and was a whiny. Yet she was strong when she needed to be. She also protective of those that she loved. My favorite character in Rampant was Bonegrinder. Bonegrinder was such a cute character and she was so innocent, because she didn't know that attacking nonhunters was bad. I want my own house Zhi. Giovanni is a great romantic interest and also was very sweet. All of the other girls were strong, smart, and had different attributes. I loved how they were all one of a kind and I love them. The plot of Rampant was slow to begin with, but the book slowly gained momentum. I loved how these Unicorns were not fluffy, but dangerous. I didn't think that this Unicorn Hunter plot would work, but the lore of Unicorns were changed and made into a believable world. I also loved that this book was so unique and that is a brand new take on Unicorns. Peterfreund is an amazing writer. She created a world that I wanted to get lost in. I loved this book and can't wait for the next book. I highly recommend this book and think that you should go read it right now. Something strange is happening in Ellerton High. Phoenix is the fourth teenager to die within a year. His street fight stabbing follows the deaths of Jonas, Summer andArizona in equally strange and sudden circumstances. Rumours of ghosts and strange happenings rip through the small community as it comes to terms with shock and loss. Darina, Phoenix's grief-stricken girlfriend, is on the verge. She can't escape her intense heartache, or the impossible apparitions of those that are meant to be dead. And all the while the sound of beating wings echo inside her head! And then one day Phoenix appears to Darina. Ecstatic to be reunited, he tells her about the Beautiful Dead. Souls in limbo, they have been chosen to return to the world to set right a wrong linked to their deaths and bring about justice. 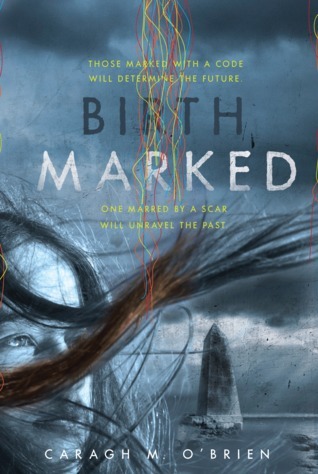 Beautiful, superhuman and powerful, they are marked by a 'death mark' -- a small tattoo of angel's wings.Phoenix tells her that the sound of invisible wings beating are the millions of souls in limbo, desperate to return to earth. Darina's mission is clear: she must help Jonas, Summer, Arizona, and impossibly, her beloved Phoenix, right the wrong linked to their deaths to set them free from limbo so that they can finally rest in peace. Will love conquer death? And if it does, can Darina set it free? I didn't feel that I could connect to really any of the characters. I could connect to Darina's grief, but it seemed that her relationship with Phoenix was forced. Most of the time, she seemed like such a strong character, but she was so co-dependent with Phoenix. The other characters needed further development. I tried to like the plot, but the fact that the characters were vague and there weren't many other descriptions. The originality in this book could have been made better. It has so many great ideas like the idea of helping save souls of those murdered unjustly and the force field of angel wings that beat you back physically. I think that Maguire could have written a strong book with expanding the character and making the personalities and appearance more decided. Allie has a summer job at Bob & Bob Records in Berkeley, California. As a music junkie that loves vinyl records, this job is made for her. She also starts a blog called The Vinyl Princess, which seems to be getting more popular each day and she expresses true love for her favorite vinyls. Allie also spends time with her fashionable best friend, Kit, as they wander down Telegraph Avenue. At the record story, Allie finds these guys that may be her chance to fall in love with, like the hot and mysterious Joel and annoying, but record-obsessing Zach. Also, robberies are plaguing Telegraph Avenue and it has everyone on high alert. Allie was exactly like the girl that I was a few years ago. She is in love with music and amazing vinyls. I loved that she had so much knowledge about music. I could also relate to her extreme love of music and all the work that she puts into her blog. Her friend Kit was also awesome, she wore so many types of vintage clothes, which I also love. Joel and Zach were great characters and I liked how Allie learned that first impressions aren't always right. Bob was such a great character, too. I loved how he threatened to sell the store all of the time and he added humor to this book. This plot was amazing. This book had great subplots and a fantastic main plot. Not many writers have characters keep blogs, when more and more people are starting blogs. I also loved the mystery that the robberies brought to this book. The fact that Allie wasn't close to her mom brought an interesting dynamic to the story. Prinz is a great writer and knows how to create an interesting and fantastic story. I recommend this book to anyone that loves music, you will enjoy it. This book sounds so amazing. I am also it love with the cover. Ellie Spencer is an ordinary girl at her boarding school in New Zealand. Her parents are on their world tour, since her mother beat cancer against all odd. She hangs out with her best friend Kevin and helps with a play. That is until she gets opened to all sorts of magic by her crush Mark's charm bracelet. Mark is not any normal person, he isn't quite human. There are also random murders in the north island and their is this mysterious girl that wants something from Kevin. The character were also awesome. Ellie thought that she was an ordinary girl, when she was really a powerful person. I liked that she though that she wasn't anyone important, when she really was powerful person. Yay for Girl Power! Also, she had an awesome voice. Kevin was also awesome. He was unlike an character in YA and if you read it, you'll know why. He was also very cool. Mark was fantastic. Seriously I love him. He was very mysterious. This book is an amazing page turner. I couldn't put it down as I was immersed into the magical world of Maori mythology. I loved how this book slowly unraveled an amazing world that surrounded them. I rarely see books that are set in New Zealand, which is a surprise since it is such a lovely place. Guardian of the Dead was very unique. Healey was an awesome writer and I can't wait to read more from her. She made such an amazing debut in Guardian of the Dead and I highly recommend this book. It had such a fantastic twist of mythology and the modern world, which you rarely see. This trailer is so cute. It seems like a movie preview. I also read of the excerpt of this book and I can't wait to read it! Also a quick Happy Birthday to my mommy! Love you! A small mistake cost Eagan her life during a figure skating competition. She leaves so many things undone. In the afterlife, she reflects on her memories of the bad relationship with her mother, her love of skating, and her boyfriend Scott. Amelia learns that she will finally get a new heart after years of being sick. She is guilty about the fact that someone is dead, but Amelia is still excited about her new life. After the heart transplant, she feels different. Amelia is dreaming of figure skating and craving grape candy. She needs to learn more about her donor's life, and she discovers that they needed it just as much as she did. 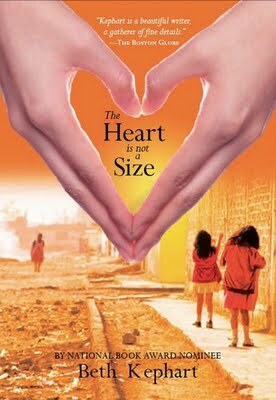 This book made me cry a few times, because I could really connected to In a Heartbeat and found it to be a unique book. It also had amazing characters. I liked Eagan. She had a fiery personality and it was interesting to see her past and how that shaped who she was. I could relate to Amelia so much. I have been sick for over three years and know how that whole family has to change around that. I also understand the fear that she had about the transplant. I get infusions every three weeks and there is always a risk of something going wrong. W I also loved Ari is was such a sweet character and I wanted to learn more about him. He was so interesting. 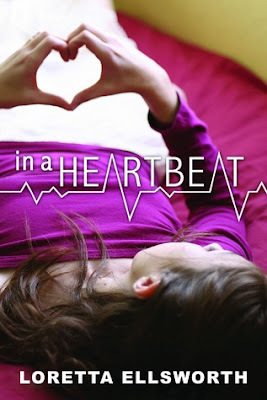 In a Heartbeat has a great plot. It is told in alternating points of view. The characters didn't seem to mesh together, which happens in some alternating POV books. I also liked that this book had originality, I don't think that I have seen a book like this. I found Ellsworth to be a great writer and I can't wait to read other books by her. 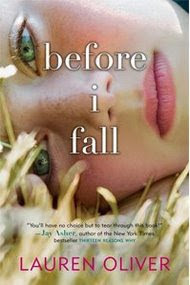 I would recommend this book to anyone that enjoyed If I Stay by Gayle Forman or Lurlene McDaniel's books. Laurel finds three mysterous flowers outside her dorm door. Maybe Avondale School isn't so awful after all. Then her body freaks in the middle of an English presentation on the Victorian Languge of Flowers. Strange word pop into her head and her body also seems to tingle and hum. Laurel gives love bouquet to her spinster english teacher to demonstrate the languge. When her teacher suddenly finds new and unexpected romance. Maybe there is something... magical about flowers. Her new friend Kate helps her discover the origins of her powers by experimenting on herself and others, but she can't seem to find any living experts of the power of flowers to guide her. Her bouquets don't always do what she wants to do, especially when it comes to her crush Justin. Rumors about Laurel and her flowers are flying across campus, and she soon is hounded with request from girls who want their lives magically transformed, just in time for prom. 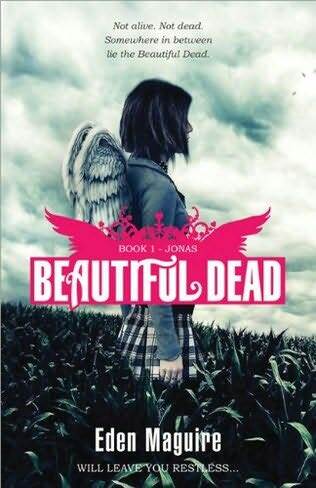 At the beginning of the book, Laurel seems to be a normal teenage girl. She wants to be accepted by her peers and she also has drama in her life from friendship and romance. I liked the fact that she was shy and also that she was curious about everything. I liked how she found out more about her power. Some of her action were annoying, because she became wish washy at moments and really didn't stand up to the popular girl. Her new friend Kate was annyoing, because she couldn't make a decision if she wanted to be with Laurel or not. I really liked her Cousin Rose, she was really sweet and overall an interesting character. Justin was a sweet character and I sound him intriguing. The plot was slow at times, but I felt that the content made up for that. The Victorian Languge of flowers used in this book was a fantastic plot device. I loved how the world was made and how it was so indepth. I learned so much about flowers and also loved that that their was a glossory in the back. White was also a brilliant writer, this book is perfect for younger teens that are looking for a original and well crafted book. Penny's mother moved them from the big city to a small town, where her grandmother lives. Her mom is now opening a cupcake bakery, while her dad is still in the city. Penny isn't sure what will happen with her family. And in this small town, her life wasn't exactly how she expected it would be. A popular girl named Charity, pulls pranks on unexpected people almost daily. Penny quickly befriends sweet and independent Tally. There is also Marcus, who is mysterious and always running on the beach. Then Penny is finally settling into Hog's Hollow, when her parents want to make a decision that could change her life. Niviene is an interesting character. She is very spirited and strong. Her voice made it one of a kind and I really liked her point of view. This book is an original take on a myth that we all grew up on, King Author and the Round Table. Instead of being from a male points of view, it is told from the Daughter of The Lady of The Lake. I found it to be an original take on the myth. The plot still had unique twists and turns that made the story more interesting. Crompton is a great writer. The songs that were intertwined in the story really helped make the story original and fun. I would recommend this book if you enjoy Mythology or Song of the Sparrow by Lisa Ann Sandell. Samantha Kingston has a charmed life. She has an amazing boyfriend, looks, and tons of popularity. February 12th should be a normal day in her life. Except it is kind of her last day of her life. Then something happens after dying, she wakes up again. But it isn't a Saturday, it is the same day and she wakes up again for the next seven days. Then she finally realizes that she needs to change what she did on that day, because such a slight change can make all the difference to what happens. Samantha is not the nicest character. At the beginning, she is a vain and very selfish person. As the novel progressed, she began to understand how important such little action can have on others and began to change her ways. Her friends were horrible, I couldn't belivee what they did. Oliver gives insight to high school and the cruelty that surrounds everyone, even the popular girls. The plot was unlike any book that I have ever read. The best way for me to explain this book is that it is a mix between Mean Girls and Groundhog Day. It was a very interesting and unique plot. Oliver is a fantastic writer, she created such a haunting and beautiful novel. I can't wait for more books from her on the future. This book also showed how fragile life is and how you need to be the best person that you can possibly be. Seriously, you should check this book out. 17. Dirty Little Secrets by C.J. Omololu . My Favorite: Guardian of the Dead or The Clearing. The Clearing was such a cute read and had an interesting plot. 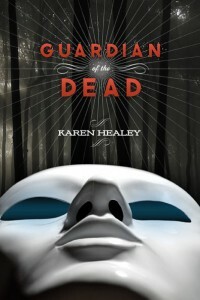 Guardian of the Dead was really enjoyable and original. My Least Favorite: Ginger High... I don't know how to explain this book. It was such a mess. After climate change, on the north shore of Unlake Superior, a dystopian world is divided between those who live inside the wall, and those, like sixteen-year-old midwife Gaia Stone, who live outside. It’s Gaia’s job to “advance” a quota of infants from poverty into the walled Enclave, until the night one agonized mother objects, and Gaia’s parents are arrested. Badly scarred since childhood, Gaia is a strong, resourceful loner who begins to question her society. As Gaia’s efforts to save her parents take her within the wall, she herself is arrested and imprisoned. This book sounds awesome. Also dystopian novels are awesome. The cover is so pretty too. Okay this is a companion book to The Forest of Hands and Teeth. I want! I am probably meeting Carrie Ryan. I am so excited. I have a Giveaway for Nailpolish, but not just any nail polish. It is Dark Divine Nailpolish, which is win. Dark Divine is a book by Bree Despain and it is lovely. The Nailpolish is the color above in the photo. Anyways, this is international contest and ends on March 16th.